If you’re looking for some options for your future career in West Virginia, you should consider becoming a welder. This career is absolutely interesting and rewarding. Becoming a welder, you’ll be working with your own hands on open air daily. Below you can find all the information you need to learn about welding. 4 Where Can Certified Welders Work in West Virginia? Before becoming a welder, learn some data about welder’s duties. Welding is a process of joining metal elements which means that a welder should be able to use various tool for heating and melting metal. In fact, it requires excellent knowledge and practical skills. To begin with, welding is an absolutely rewarding job. Moreover, this job is a great choice for those who prefer working with their own hands. You can work in an open air daily creating amazing constructions such as buildings, bridges and so on. Also, you should keep in mind, that this career has an amazing outcome. The U.S. Bureau of Labor Statistics claims that the number of job offers will grow by 6% until 2026. Welders in West Virginia have a good salary. Their median payment is about $43 690 per year or $21 per hour. A median salary throughout the country is $39 390 per year or $18.94 per hour. The top 10% of welders in West Virginia earn about $70 350 annually while the top 10% of welders throughout the country earn $62 100 per year. Where Can Certified Welders Work in West Virginia? 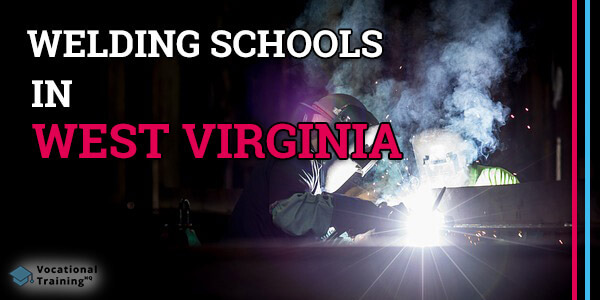 Below there is a list of the best welding certification schools in West Virginia. There are 13 schools that were approved by the American Welding Society’s SENSE Accreditation Program. Each school provides a variety of important and essential courses such as Gas Tungsten Arc Welding (TIG), Shielded Metal Arc Welding (stick), or Gas Metal Arc Welding (MIG). It means that you’ll be able to perform your duties properly. Keep in mind that you need a high-school diploma or GED to start your training. Nevertheless, some schools are ready to accept high-school juniors. In any case, to become a certified welder, a high-school diploma is required as well as a bunch of significant skills. As you can see, there are enough welding certification schools in West Virginia. You just need to choose the best one and start your training. After some training, you’ll be able to enroll in your successful career.